Owensboro’s municipal fiber network could begin serving more customers this spring as it moves from pilot to citywide project. The residential Fiber-to-the-Home (FTTH) pilot project began in 2016 serving only a single neighborhood. Now, after a successful first phase, Owensboro Municipal Utility (OMU) is installing new fiber along the electrical grid and urging potential customers to sign up for the expanded service. The city itself has been utilizing fiber infrastructure to support electrical grid functionality since the late 1990s. OMUfibernet was originally conceived in 1999 to better serve the business communities needs. After recognizing the need for similar improvements for households, their residential FTTH pilot began in 2016 by connecting 500 residents with gigabit symmetrical Internet service. The pilot also allowed business’ to lease fiber, giving them greater flexibility in data transport speeds. The first municipal network in the country was established in Kentucky in the 1980s. 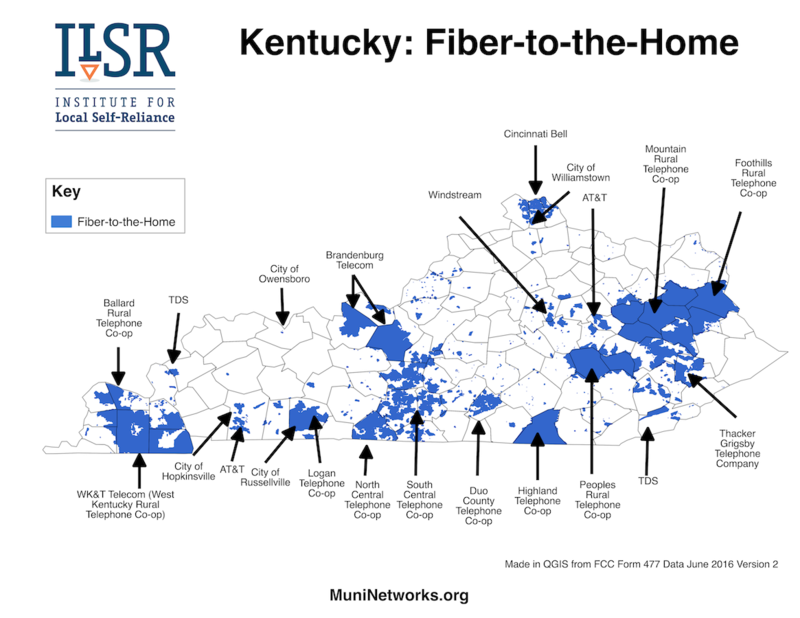 Those humble beginnings have led to a state with an impressive residential FTTH network coverage. Often, deploying a well-crafted pilot project like OMU’s leads to successful citywide coverage. The Electric Plant Board in Franklin, Kentucky, unveiled a similar project in May, but we've seen these FTTH pilots happen in many communities. Rural cooperatives increasingly use pilot projects to perfect their designs and systems when they decide to offer Internet access to members. A recent proposal being considered by the FCC that has raised the loudest outcry has been the status of mobile broadband in rural areas. Now that Verizon is discontinuing rural subscriber accounts, the FCC will be able to see those concerns come to life. The company has decided to cut service to scores of customers in 13 states because those subscribers have used so many roaming charges, Verizon says it isn’t profitable for the company. Service will end for affected subscribers after October 17th. Verizon claims customers who use data while roaming via other providers’ networks create roaming costs that are higher than what the customers pay for services. In rural communities, often mobile wireless is the best (albeit poor) or only option for Internet access, so subscribers use their phones to go online. Subscribers are from rural areas in Alaska, Idaho, Indiana, Iowa, Kentucky, Maine, Michigan, Missouri, Montana, North Carolina, Oklahoma, Utah, and Wisconsin. Apparently, Verizon’s LTE in Rural America (LRA) program, which creates partnerships with 21 other carriers, is the culprit. The agreements it has with the other carriers through the program allows Verizon subscribers to use those networks when they use roaming data, but Verizon must pay the carriers’ fees. Verizon has confirmed that they will disconnect 8,500 rural customers who already have little options for connectivity. A Tennessee communications cooperative will soon bring fiber connectivity to Kentucky’s Warren County. North Central Telephone Cooperative (NCTC) will offer high-quality Internet access via gigabit (1,000 Megabits per second) connectivity via its North Central Communications, Inc., subsidiary. NCTC will start in a new subdivision and has already installed fiber prior to new home construction. The cooperative will also offer services in a nearby apartment complex. NCTC will make Internet access along with video service available to the new homes that are not yet built. They intend to expand to other multi-dwelling units and subdivisions in the area and hope to develop a larger regional footprint. Approximately 120,000 people live in Warren County with a little more than half making their homes in the county seat of Bowling Green. The population has increased steadily by double digits since 2000. It’s located in the south central area of the state and also home to Southcentral Kentucky Community and Technical College and Western Kentucky University. On September 8th, the Warren County Fiscal Court approved a non-exclusive franchise agreement to allow NCTC to serve people in the county. NCTC is already serving subscribers in Allen County as part of the Kentucky Wired project. Warren County adjacent on the northwest border of Allen County.